Did you know you can book your Myrtle Beach SC golf tee times, including selection of the course you want to play, right here on our website? You can choose from 13 different packages or pick your own tee time, pick a date, how many players are in your party, and how many rounds you’d like to play. Then you select your preferred course and tee times and you get the price and your reservation is booked for you. What could be simpler than that! Once you get your Myrtle Beach SC golf tee times booked you’ll need accommodations from where you can recharge until your next game. Condo-World has an extensive selection of luxurious and yet affordable condos from which you can choose. 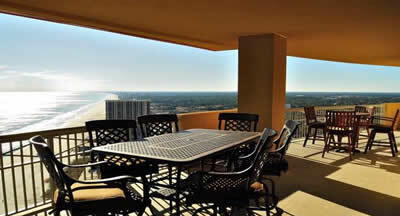 From your oceanfront condo you’ll have incredible views of the ocean and a balcony to kick back and relax on. So spend your days playing golf and then spend your evenings swimming in our pools and taking part in the nightlife only found at Myrtle Beach. Who said a golf vacation has to break the bank? With our Prime Time Tee Time & Package Specials the Myrtle Beach golf discounts you get will allow anyone to afford a golf vacation. The lodging in package specials cover a wide range of different options. Everything from golf resorts and villas to hotel suites and beachfront condos. No matter if you’re traveling alone, with friends, or with family your will have more than adequate accommodation with all the amenities you desire. The prices of the golf packages in Myrtle Beach vary, with most packages including accommodations for three or four nights and with three or four days of golfing. 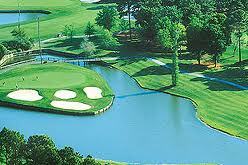 There is a large range of Myrtle Beach golf discounts so prices vary with packages. Our Super Saver Specials are as low as $159 per night for 3 rounds of golf and lodging for 3 nights. Golf is just one of the things that can be done in this premium vacation area. There are amusement parks, water parks, shopping, theaters, and night life, providing enough things to do to fill your time when off the course, as well as providing your traveling companions alternate activities. Out of all the Myrtle Beach SC golf courses in the area the Myrtle Beach Golf Association recently ranked the following as the Player’s Top 20 Golf Courses. The Myrtle Beach Golf Association’s rankings were based upon each course’s layout, playability, challenge, imagination, beauty, pricing, actual conditions (course, clubhouse, restrooms, cleanliness, etc. ), practice facilities, pace-of-play, as well as the amount of development around the course and the quality of their, food and beverage facilities. Particular emphasis and consideration was placed upon the professionalism and friendliness of the staff at Myrtle Beach SC golf courses. 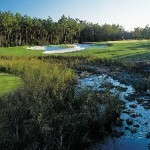 MBGolf.com offers the best selection of Myrtle Beach golf packages always at the best rates available. We guarantee it! Here are just a sampling of some of our good deals. Think you know a good thing when you see it? Well, you’re looking at it! Check out our Prime Time Golf Price Buster — Available April & May only! If you can find a better deal than this, take it! We GUARANTEE this is the Best Prime Time golf package deal in all of Myrtle Beach! Choose 3 Rounds from Heron Point, Island Green, River Oaks, Azalea Sands, Diamond Back and Indigo Creek, and Stay 3 Nights in a Luxurious 3 Bedroom Oceanfront Condo! ** Must Call to Book! Very Limited Availability! Prices per golfer, based on quad occupancy staying in a luxury 3 bedroom oceanfront condo. Includes Accommodations, Green Fees, Carts & Tax. 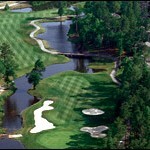 Myrtle Beach golf packages include Our Famous Masters Package. This is one Legendary deal! Play the Legends’ courses and enjoy Free Rounds, Free Food, and Free Beer…truly, what could be better than that?! Choose from Heathland, Moorland, Parkland, Oyster Bay and Heritage Club. Play 4 Rounds, and get the 5th free, with cart! Package also includes daily lunch, breakfast, and 2 beverages at each course. Golf prices include tax and carts. NEW! : Play Heritage in the morning and ADD Wedgefield in the afternoon and enjoy a FREE Pig Pickin’ after a great day of golf! OR, play Oyster Bay in the morning then ADD Diamond Back in the afternoon & stick around for a FREE cookout! These courses can be added on for additional green fee & cart…Must call to add these courses! Our Myrtle Beach golf accommodations provide the premiere setting for your golf vacation. Conveniently located near area attractions and entertainment venues, our wide selection offers something for all tastes and budgets. Traveling with a large group? 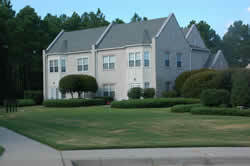 Stay in one of our extra large condos or penthouse units, which can accommodate up to 10 golfers. Spend your days playing Championship golf, and your afternoons relaxing by the pool or on the balcony with your group, planning the night’s festivities. 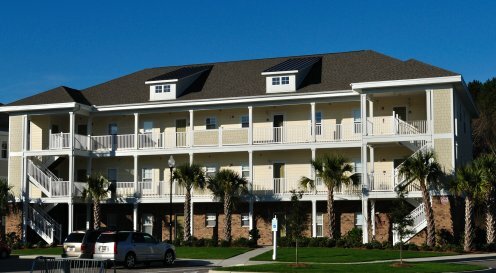 With Myrtle Beach golf accommodations you’re just a short distance from the fun and excitement of Barefoot Landing, home to 150+ shops, restaurants/bars, and entertainment venues. A golf vacation doesn’t get any better than this! Every year thousands of golfers come to Myrtle Beach to partake in their plethora of Championship golf courses. They offer over 100 championship courses, in which some were designed by professional golfers themselves. 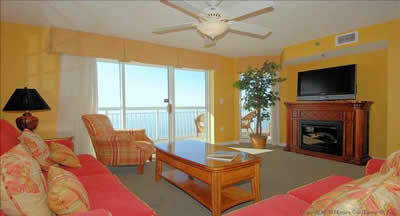 With MBGolf you’ll find a great selection of Myrtle Beach tee times and luxury condo accommodations. Right now is a great time to book your tee times because they have plenty of sales going on that will allow you to play extra rounds of golf. Myrtle Beach is a golfer’s paradise and offers some of the nicest and cleanest beaches in the world. Nothing is more relaxing than a walk on the beach after a round or two of golf. There’s a special going on where you can play Carolina Shores, Woodland Valley, Indigo Creek, Azalea Sands, Palmetto Greens and Heron Point for $48 a round if you call within 14 days of play. It’s a great way to play the best Myrtle Beach last minute tee times while saving money. If you’ve ever been to Myrtle Beach and the surrounding area, it’s no secret that they offer over one hundred championship golf courses perfect for all play styles and abilities. This is one reason it’s known as the Golf Capital of the World to many vacationers and residents. These Myrtle Beach golf courses are top notch and many of them were designed by professional golfers such as Love, Dye, Nicklaus, and many more! If you want a vacation filled with pristine beaches and golf courses, you’ve came to the right place. 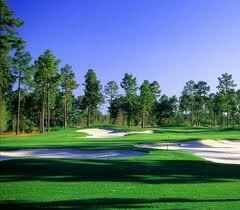 Myrtle Beach golf courses have won many awards because of their beauty and play style. They offer a great selection of premium courses that are as nice as any course in the world and also offer super saver courses that offer deals during peak season. Some of the courses you can play are Barefoot, Arrowhead, Willbrook Plantation, Brick landing, Farmstead, and more!